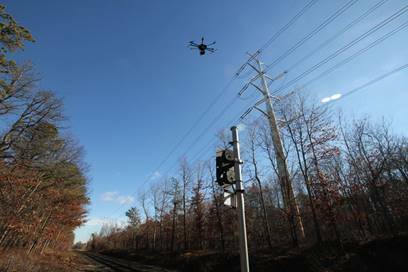 RedLand Strategies - Keeping Long Island's lights on doesn't "just happen"
Fortunately, there are smart people at ULC Robotics of Hauppauge who have developed a better way to inspect and maintain our overhead wires – by using unmanned aerial vehicles (UAVs) — commonly known as “drones”. They are mounted with high tech cameras and having this “bird’s-eye view” means trouble spots can be identified and fixed faster, either by replacing equipment or targeting tree-trimming and vegetation management to where it is needed most. ULC Robotics has partnered with PSEG Long Island since 2016 to provide inspections and maintenance utilizing high quality visual assessments with limited disruption, faster and without having to place people in potentially hazardous situations. Eyewitness News recently produced a segment explaining this. It is worth a look – Click Here.